During March and April the Tarfala Research station opens again. Field crew and data technicians visit the station for inspection and maintenance work after winter´s power with wind, snow, ice and water. Here, the weather station by the summer grazing lands of the Lihti Sami village is visited. 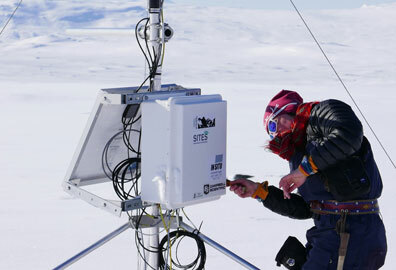 Technicians also mount an antenna to the logger for online sending of data.